Bordeaux 2010. Finally there was rain this week. I understand that rain was the only thing people were waiting for in Bordeaux. For the rest the growing season was very good again. With plenty of sun, warmth and dryness. But for photosynthesis to take place, with CO2, water is required, and that was finally provided last Monday, Tuesday and - especially - Wednesday. There is still about one and a half weeks to go before the harvest of the reds starts, so nothing is sure at this moment. Hence it makes sense that producers aren't too explicit already about the expected quality of the fruit. And here's a difference with 2009: the tone of voice. In the previous year the excitement started very early, and kept on going for a long time, all the way in to the lengthy campaign with it's unparalleled prices. This year the facts seem exciting, but we do not see the excitement. 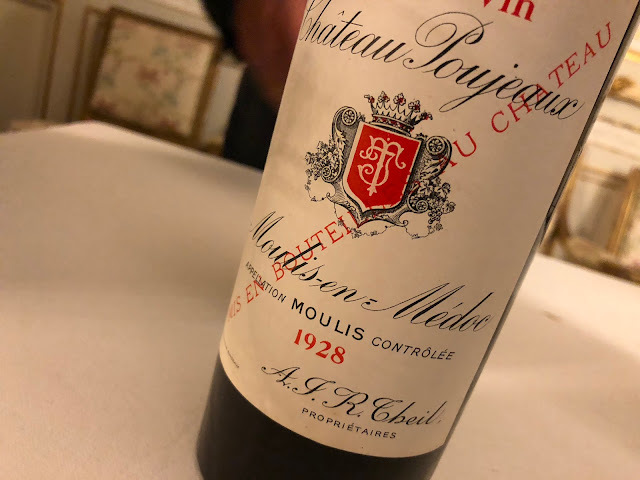 Consultant Eric Boissenot tells Decanter "At this stage, when tasting the berries, they seem easily of the quality of 2009, and the forecast for the next week is good." It's a striking observation, but it remains largely undiscussed. The reason for this must be that it just sounds a bit ridiculous to announce yet another brilliant vintage. We had the grand year 2000, then the perhaps best year ever 2005, then the perhaps even better year 2009, and then… then what? But what if 2010 really turns out to be another victorious vintage? Who will believe that, even if it's true? And also, who is going to spend the same amount of money on 2010 as on 2009? Well, in the coming weeks we will see how the year turns out to be. But whatever happens, I feel a bit uneasy about it. My, my. 2000, 2003, 2005, 2009, 2010. Really enjoyed your post and found it informative. Interesting that there's no less than five "vintages of the century" in 11 years. Hey - if they're actually right - great. But with more supply (last bad vintage being 1993 IMO), how can the prices possibly keep increasing like this? Even if they maintain current levels Bordeaux can't be bought sensibly at the GCC level. Can the Asian market really be that powerful an influence? Further - I'm curious to see what happens when they realize the idiocy in paying $4,000 for a bottle of '82 Lafite.